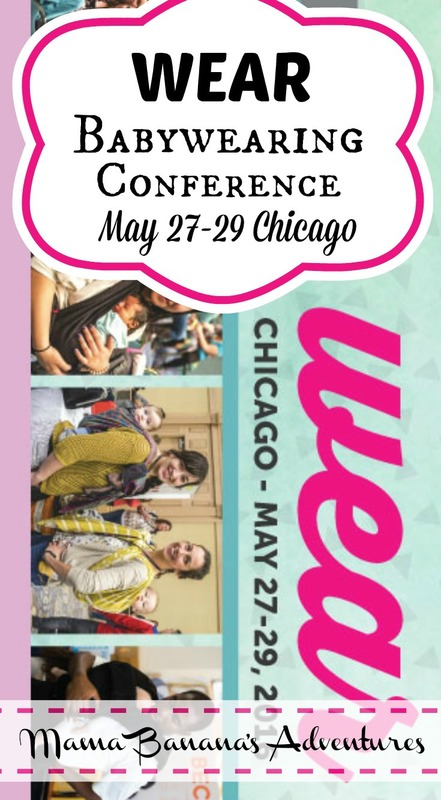 WEAR Babywearing conference is coming to Chicago IL May 27-29 2016. 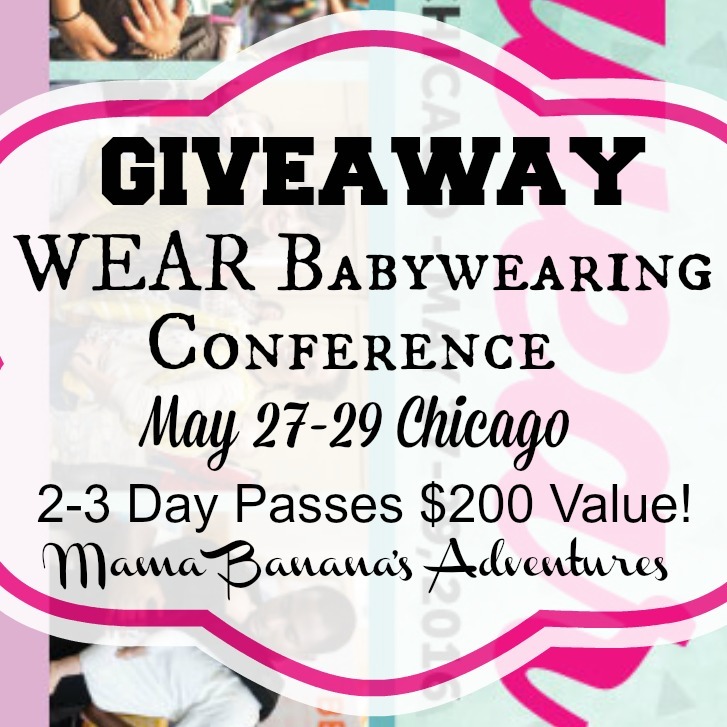 WEAR will take place at the Westin Michigan Avenue in Chicago, IL and runs for 3 days of babywearing goodness. Events take place Friday May 27 – Sunday May 29th and attendants can purchase a one, two or three day pass. Attendees are welcome to bring their babies and even their kindergartners! With over 30 exhibitors attending plus regular events and happenings, this will be packed with babywearing goodness. Want to go? I’m giving away 2 3-day passes… a $200 Value! Better yet, you can use my MommyCon Coupon Code STJEL16 to save on WEAR passes! Disclosure; This is not a sponsored post. Chances of winning are based on number of entrants. Not associated with facebook, twitter, instagram, google or other social media which this is promoted on. Mama Banana’s Adventures is not responsible for sponsors who do not fulfill prizes, lots or stolen prizes. Open to legal residents 18+ void where prohibited.